I can return person or group column(I have selected this field to allow multiple values - People Only) like this "Name1;#24;#Name2;#34". 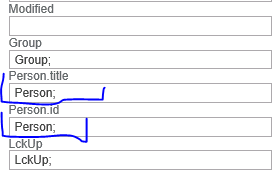 How can I return something like this Name 1, Name 2 etc..
Any ideas how to replace ";#' in xsl? Browse other questions tagged sharepoint-designer content-query-web-part item-styles or ask your own question.